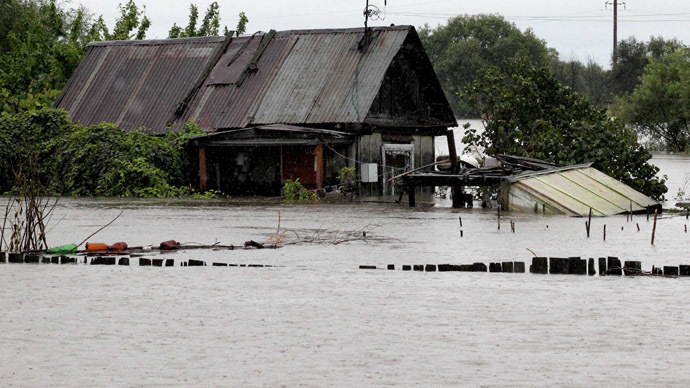 The level of the Amur River in Russia’s flood-ravaged Far East hit 7.2 meters as it rose more in the past 24 hours. Over 50,000 people have been affected by the disaster called the most severe in 120 years - but meteorologists warn worse is yet to come. 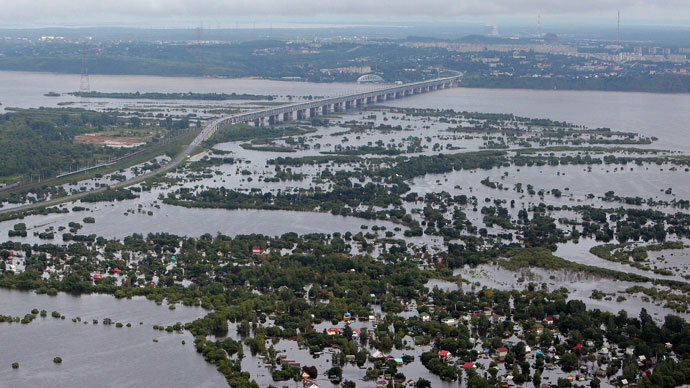 In less than a week the level of the Amur River is predicted to reach 7.8 meters. In the worst case scenario, by September 2-3 it might measure over 8 meters with the maximum predicted level now at 8.8 meters. The authorities have ordered to increase the amounts of water-stopping dams in the area to boost safety. “Forecasters are expecting the floods to peak on Sunday. But that doesn’t mean that as soon as it reaches its peak it will start to fall. It will stay around for a while,” Denis Ilyinov from the emergency services in Khabarovsk said. The Emergency Ministry is transferring experts from all over the country to the Far East in order to help deal with the situation. Volunteers have already started vaccinating the local population against dysentery as a preventative measure. As of Saturday, more than 6,200 houses have been flooded and almost 22,500 people evacuated in the Russian Far East, according to the Emergencies Ministry. In both the city of Khabarovsk and Khabarovsk region the flooding caused by heavy rainfall has submerged over 1,100 houses. It also inundated about a thousand plots of land and over 4,000 cottage communities. 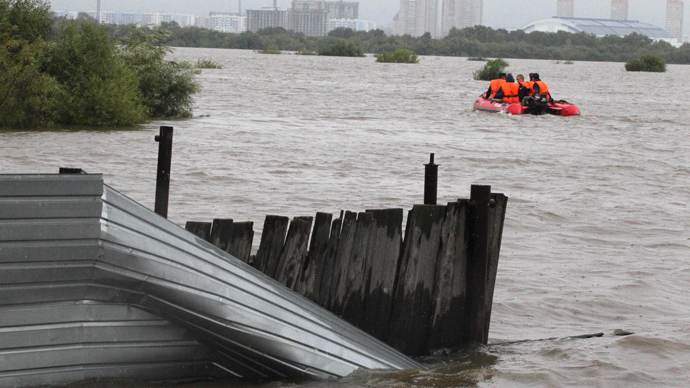 As the water reaches 720 cm, another 70 houses are predicted to be submerged. 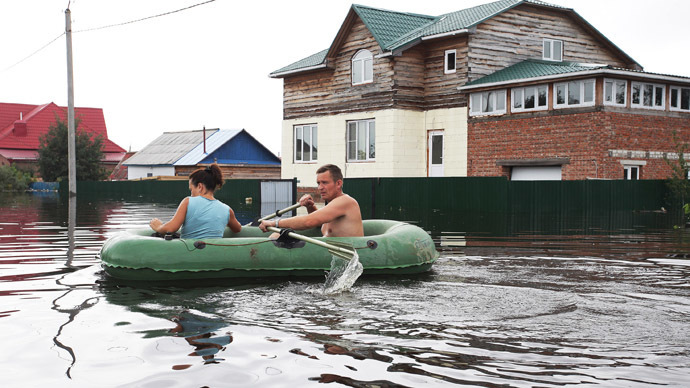 All main roads that connect to the center of Khabarovsk to its southern communities are flooded. “Before it took people 15-20 min to get from the southern part of the city to its center, now it takes up to three hours,” Russia’s Business FM quoted editor-in-chief of ‘Amur-media’ Andrey Shvetsov. Shvetsov also added that some local businesses are trying to make money off the disaster by raising water prices. "Drinking water has increased by 15-20 percent," he said. 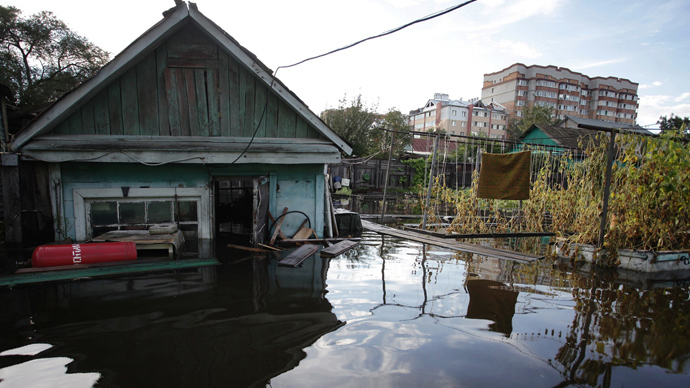 Authorities said the floods have caused estimated damages of “not less than 10 billion” rubles. Those affected will be compensated and special attention will be given to those whose crops have been lost. Help will be provided “in particular with potatoes and vegetables. This will be handled by the Ministry of Agriculture,” said acting the governor of Khabarovsk Region Vyacheslav Shport. Shport also assured that all those who have lost their homes in Khabarovsk will receive assistance. Over 1,500 people have been evacuated from Khabarovsk Region. In total 23,000 people have been evacuated from three affected regions. However, despite the rising water, some people still refuse to leave their homes out of fear of looters raiding their property, some have water already up to the roofs. Soldiers have been deployed to help construct temporary flood defenses. The authorities ordered dams to be at least 9 meters in height. The embankment in the city of Khabarovsk has been closed to people as there is a threat that soaked with water, it could collapse. More help is still on the way for the affected territories. A rescue group of 135 officers took off from Siberia on Saturday to the Amur region to aid the flood victims. The team has specialized equipment with them: pumps, cutters, motorcycles and power saws, special clothing and uniforms, Itar-Tass reported. Also, two-dozen doctors have flown out from Moscow to Khabarovsk to help treat the victims from mobile field hospitals.